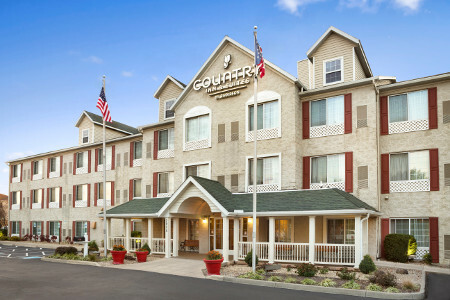 The Country Inn & Suites® by Radisson, Columbus Airport, OH provides free shuttle service to John Glenn Columbus International Airport (CMH) and quick access to businesses and popular attractions via I-670. 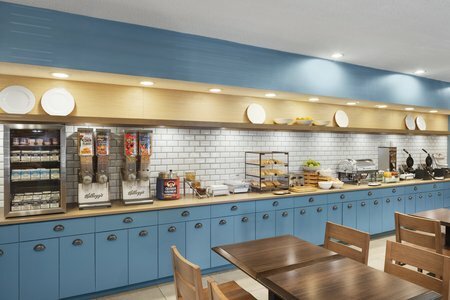 You can visit your favorite Buckeye at The Ohio State University, shop at Easton Town Center or watch sports and concerts at Ohio Expo Center, all within 10 minutes of the hotel. Traveling for work? 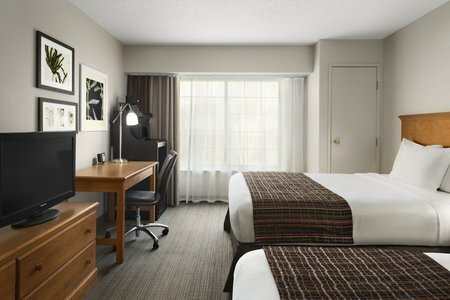 Our hotel features on-site meeting space and is convenient to the Greater Columbus Convention Center. Each morning, you can fill up on bagels, fresh fruit, grits and a rotating selection of hot items at the free, hot breakfast. For lunch and dinner, choose from several restaurants within five miles of the hotel, including P.F. Chang’s and Fadó Irish Pub. If you’d rather eat in the comfort of your room, choose something off the Order Inn room service menu. 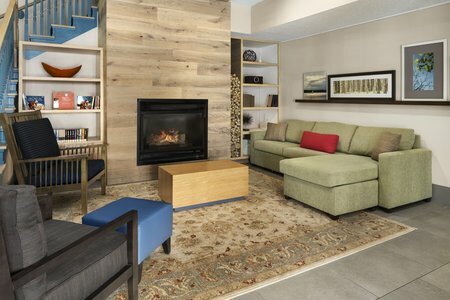 Area Sports – Within just 10 minutes of the hotel, fans can cheer on the Buckeyes at the "Shoe," the Columbus Crew soccer team at Mapfre Stadium or the Columbus Blue Jackets in an NHL hockey game at Nationwide Arena. Is baseball your favorite? The Columbus Clippers, a Triple-A affiliate of the Cleveland Indians, play at Huntington Park. Ohio Expo Center – The Ohio Expo Center hosts the annual Ohio State Fair, one of the region’s biggest and most multigenerational attractions. You can catch concerts, trade shows, conventions and sports events year-round at this downtown venue, just 10 minutes from the hotel. Easton Town Center – Only 10 minutes northward, this shopping hot spot is home to more than 200 stores as well as dining and entertainment options. The center’s open-air layout includes fountains and brick-paved streets. With competitive rates and a prime location near the CMH airport, our hotel makes an ideal venue for meetings and events with up to 10 guests. Meeting attendees can take advantage of fax and copy services as well as free high-speed Internet access. Our friendly staff is also happy to assist with event planning.